Co-founder of a children's bereavement charity appointed as a chaplain to the Queen. When a child asked to make a memory pillow and put pictures of his late mother inside it, he wanted to do so because he missed getting cuddles. "If he had a pillow, he could take it to bed with him," Rev Liz Henderson says, telling how a child under the care of a charity she helped co-found had explained his grief. This is just one of the many ways Richmond's Hope has helped to support children who have lost someone close to them. Since 2003, more than 3500 children aged between four and 18 have received one-to-one care to help them explore the effect of their loss through therapeutic play and provide a safe place for them to work out their feelings. The first of its kind in Scotland when it opened, it has always been a focus of the charity to help children develop coping strategies and live well with their grief. 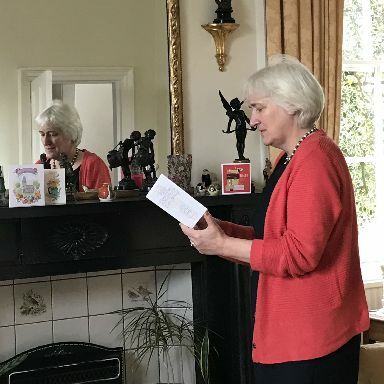 For the minister of Richmond Craigmillar Church in Edinburgh, Easter is always an important and special time; this year is especially so for Liz as she accepts an invitation to join the royal household and take on the role of a chaplain-in-ordinary to the Queen. The prestigious role dates back to the 15th century and is today largely a ceremonial honour with chaplains taking part in formal state occasions and conducting services at national events. 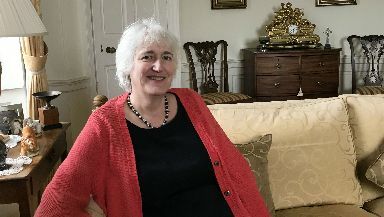 The Richmond Craigmillar Church minister will take up her position as one of the ten chaplains to the Queen in Scotland, with each holding office until the age of 70. 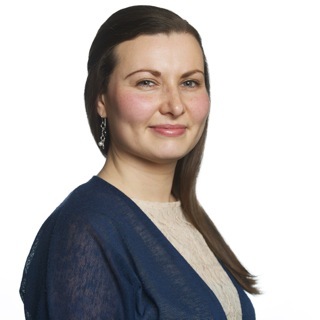 The honour highlights Liz's work with the charity as well as her wider service to the community of Niddrie in Edinburgh where she has been based for more than 20 years. Delighted by the appointment, Liz says the recognition is an honour for both her and the church. "It is a wonderful thing," she says. "It is an honour and I suppose it is recognition of the work of my church - not just my work - but the work of the church locally. "I've always seen ministry as looking after the people in our parish and I think that's a hugely important role for the church. "Richmond's Hope came out of that looking after people. It was about that care, that responsibility I think the parish church has for the local community, that we started Richmond's Hope. "We recognised that there was a need to support bereaved children. "Quite simply, it's a place where children get the space to tell what's happened to them in respect of their bereavement. So children get to tell their own story and say how it is for them." 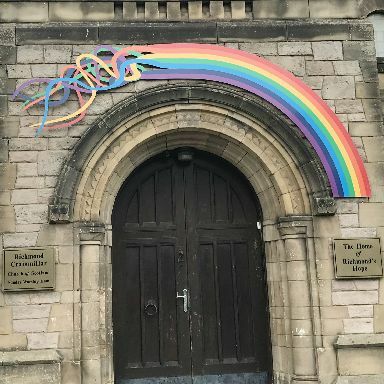 Since founding 15 years ago, the charity has expanded its reach with two centres in Edinburgh, one in Midlothian and one in Glasgow where it supports around 70 children every week. 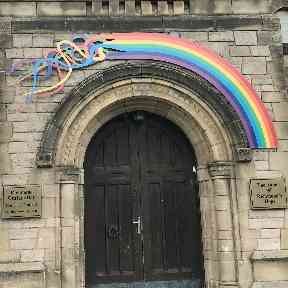 Born 'out of grief', the idea of setting up a charity first began when Liz took up post at the Niddrie church. Within a few weeks of being there, she visited local resident Jessie Douglas whose son had been killed in a motorbike accident at the age of 28. In the year following Andrew's death, another 15 young people died in the community, leaving 34 children bereaved of a mother, a father or a sibling. Conducting the funerals of each of these young people and providing pastoral support to some of the families, Liz, alongside Jessie, became acutely aware of the impact grief was having on the children of these families and so the decision to raise funds and open Richmond's Hope was made. "We help them to express their feelings, talk about their memories, tell the story and develop ways of coping because we recognise that you grieve for life," Liz says. "We are helping children to grieve well. "Play is children's natural way of expressing themselves and the play for the workers is a chance to get down on the ground and let the child lead the way. "The one that has always stuck with me is that a lot of the children who come say it is fun. And I think that is because we use the medium of play. "I think it is the relief for the children. It is that sense that what they have not been able to say, they can say." Easter Monday 2018 will be remembered fondly by the minister as she accepts her new role as chaplain to the Queen. 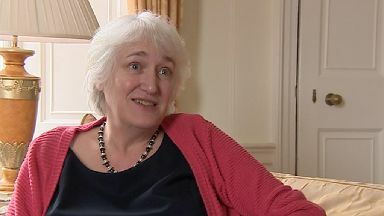 As well as working with children and young people to preserve memories of the person they have lost and to explore their feelings, Liz says they are also committed to helping the young people develop coping strategies and provide a space for them to understand the impact the bereavement has had on their lives. "I think it is hugely important to recognise that children grieve, and to deal in childhood with their thoughts and emotions and feelings so that they get a chance to start that process of expressing it over and over again," she says. "You are going to have different thoughts about the loss of your mother when you are five, when you are eight, when you become a teenager." Liz adds: "Lots of the children will say to us that they are going to keep their memory jar or memory pillow, and open it when they are 18 or 21, or on the day they get married. "So it is children taking control of their own grief and growing up with it but knowing themselves what is going to be difficult and what is going to help, and when they are going to need it. It's very powerful work the support workers do."